Most of you know that when I moved to Georgia, my living space was about cut in half. I've had to become very creative in learning to fit all my crap stuff in my new space and the biggest problem is where to put all my kitchen goodies. I used the linen closet to store my big appliances and over-sized pots. This left me with finding somewhere to put my bed linens and tablecloths. I bought some of those underbed storage units, but honestly, they are a pain to use. I had decided I needed to check into one of those platform beds with drawers and lo, and behold, I got an email from CSN Stores. I know we've all fallen in love with their huge variety of online stores and they've sponsored so many fabulous giveaways making them ACES with my blogging friends. We love giveaways! Add to that the fact that they have an A+ rating with the Better Business Bureau and you have a win-win situation. To make this even better, most items have free shipping and especially with furniture, this is a big plus. Free shipping and delivered right to my home — very cool! Choose one that ships "White Glove" and they'll even carry it inside and set it up — exceptionally cool! I'm really loving this platform bed from the Paula Deen Steel Magnolia Collection, who knew she had a furniture line? This particular bed doesn't have underbed storage, but out of the 320 they offer, there are 93 that do! Now the lovely folks at CSN Stores have listed me as a preferred blogger and have ask if I would like to receive a product to review or offer my readers another giveaway. Of course, I chose to have another GIVEAWAY! Ya'll know I'm all about the great outdoors, especially when it includes sand, sun and surf, so I chose something for you that is FABULOUS! How do I know it's fab? Because I already own one of my very own! So, I'm going to give this product a review, as well as, give one to one of you. 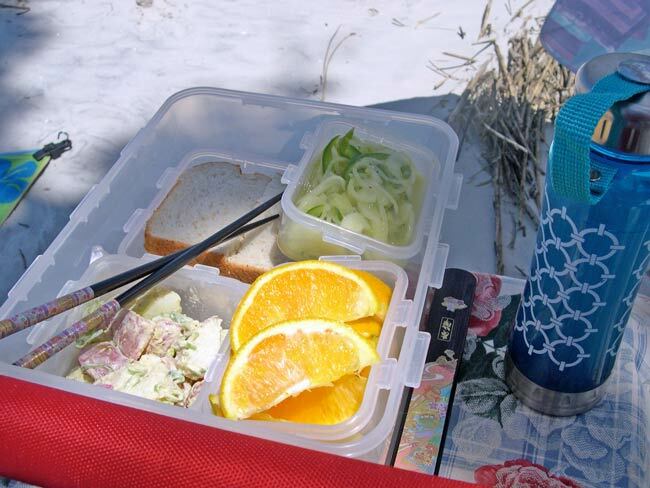 and again recently when I visited Jekyll Island for a picnic at Driftwood Beach. I LOVE this chair! I've owned many, many beach chairs over the years, but this is my absolute favorite by far. The others usually lasted about a year before they showed signs of rust, wouldn't open properly, or literally fell apart. Not this beauty by Picnic Time. I've had it for about four years now and it still looks new. 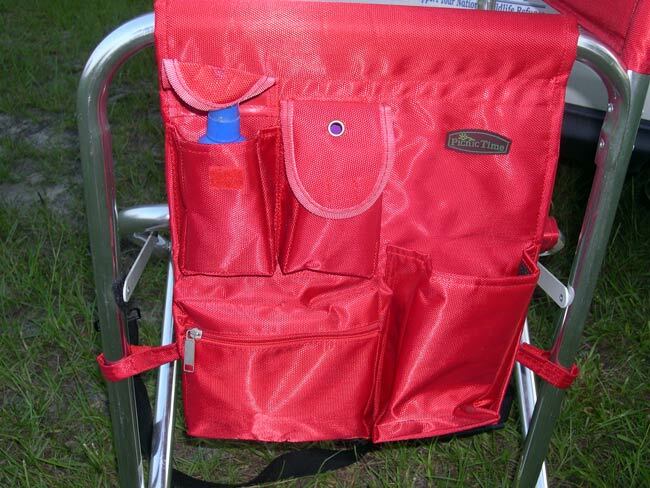 The color has not faded, it opens with a breeze, it's lightweight and easy to carry with the included (detachable) shoulder strap. I know I have years of use left in this well-constructed chair. 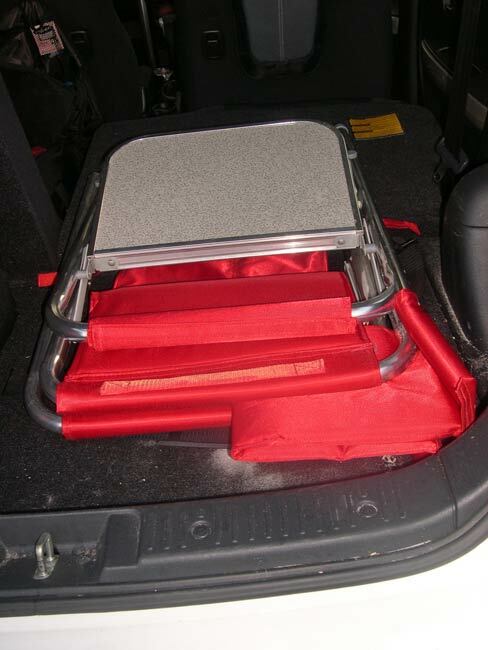 The extra-wide seat gives me plenty of room and the arms are padded — comfy! Plus, I love all the side pockets! I keep sunscreen in the first pocket, so I'm never caught without protection (I don't do cell phones, but you can keep yours in this pocket if you wish). The second pocket holds a couple of power bars and the bottom pocket has a bag for trash left by those inconsiderate people who spoil my beaches. There's also plenty of room for whatever little goodies I may need on a particular day, usually my camera and my car keys. The pocket on the right holds my eco-friendly water bottle (no plastic, please). 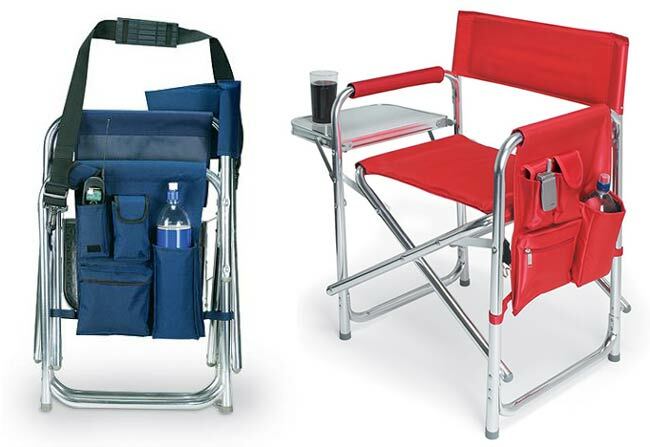 Now what do you need to do to win your own Picnic Time Sports Chair? Well, I want to give you lots chances, so do as many or as few as you like. I'm using the number system, so each chance must be on a separate comment to be counted individually. Stop by CSN Stores Platform Beds and then leave me a comment telling me which one is your favorite (other than the Steel Magnolia from Paula Deen) This is a great way to show CSN Stores how much we appreciate them. Leave me another comment if you are already a follower or a new follower. Leave another comment and tell me which color you would choose — Navy Blue or Purple are in-stock now. Red will be available on July 1st. Hunter Green or Black is expected to be available on August 5th, so choose accordingly. Blog about this giveaway or post the button in your sidebar for yet another chance to win! I'm accepting entries for this giveaway until midnight PST, Monday, June 21st. This giveaway is open to U.S. and Canadian residents only, since that is where CSN Stores ships to. 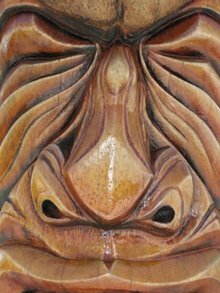 No anonymous comments will be accepted and if you don't have a way for me to contact you through your blog or if you don't have a blog, be sure to leave me your email address so I can contact you if you are the lucky winner. That's it! Good luck to everyone! Be sure to click here and see what outdoorsy fun is going on in Blogland today! I love the FBG Java Mahogany Platform Bed - B51Exx. I would pick the Navy Blue chair. Oh, such a lovely giveaway! I'm one of your followers...does that count for a chance at the chair? If so, sign me up! Hillsdale Tiburon Bentwood w/drawers is my favorite. If you want drawers. Wow what a selections to choose from. Hi hut! It has been awhile since I've been able to stop by, but something was telling me to visit today! Now, I know why! Holy cow. Those beds are amazing, no? I about drooled when I saw the "South Shore Infinity Queen Size Platform Bed with Two Drawers - 3159-217" That extra space from the 2 drawers would be great to have. Greg and I live in a 750 sq. foot apartment. I never thought of drawers under a bed. Clever! I would love the purple chair. That is the neatest thing. It would come in handy at so many events. Pick me, pick me! What a wonderful giveaway! I love these chairs and they are the perfect beach chair! And I visited CSN stores and would love to eventually have two of the Canwood Furniture Mate's beds for our guest room! And I would pick the navy blue to go with my blue beach umbrella! Thanks again for the chance to win one of these great chairs! Great bed but I am crazy about that chair. I had one similar but I lost (stolen?) it at a festival a couple of years ago. It didn't have those great pockets- you picked a nice giveaway! You always have something fun happening! ps-Watch for my giveaway too in a few weeks (my first!). Since I am trying to create a nursery for my new grandson yet be able to also use the room as a guest room for my youngest son's friends, I think the Lea Seaside Dreams Sleigh Bed - 890 - 96 / 890 - TBSP / 890 - 09 would be perfect and fit in with the decor which is beachy/vintage nautical. Definitely Navy Blue for me. These are great chairs! Thanks for all the opportunities to enter your great giveaway! I added the button to my sidebar. I think I like the Lifestyle Solutions Wilshire Platform Canopy Bed! Rhonda, I came by earlier, and for some reason CSN's website was acting up. But I found the bed I love! It's called the Lea Seaside Dreams Poster Bed. I can see that in our St. Augustine house. With a discount from them and free shipping, it's actually not a bad price, and it's CUTE! I might go back and ogle it some more. I like the Paula Dean, too. Hope things are going better today. I was up with a sick stomach all night. Not sure what was going on, but I suspect it's what I hate for supper. Fred brought in takeout, and it was gloppy. ;-) LOL! I got no sleep, so I think I might try and turn in early. Famous last words! LOL! I almost forgot, I like navy. The red is cute, too, but I'll go navy! I like the night and day spices roses platform bed on pg.4! It's beautiful but I don't see any storage area! Here's entry no.2...I'm already a follower and I wanted to thank you for the tip on my tea/coffee pot. I'm going to investigate that a bit more now too! Kafee huh? And entry no.3...Purple! That way I make sure it stays my chair! LOL! Thanks a bunch, I'll put this on my blog too! The hillsdale Erickson bed is pretty nice! Would love to have it in my own home. 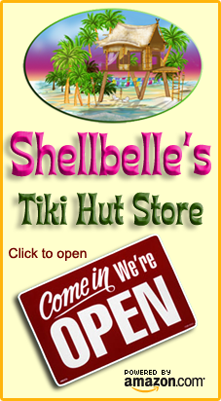 I love the thought of us both surfing around... finding similarly awesome summer goodies for our giveaways! I am soooo crossing my fingers on this one. The PURPLE chair would just put me right over the moon with delight! And of course I follow :) Will forever and always! And how does one pick just ONE favorite bed? I am partial to any of the beds with that deep, espresso finish. LOVE dark wood!! PS- My kitty boys and I were snuggling in bed last night, and call me crazy, but I have them join me in my prayers... and of course, I talk to them like they can understand me. We said a little prayer for Sheldon and for you... and I told them that one of their furry brothers was now an angel pup. I reminded them how lucky I am to have them in my life and how much I loved them... just like your life was more amazing because you got to share it with Sheldon. And then I told them that even though my heart will break and a piece of it will go with them when they have to leave me, that the best is though that they get to be angels... and eat treats, and chase mice, and nap and play all day long. And if they can't be with me, well... Heaven seems like an okay place for them to go. Just imagine the fun Sheldon is having up there! I like the Blu Dot Nook Bed - NO1-BD. So simple. I am a new follower with Google Friend Connect. 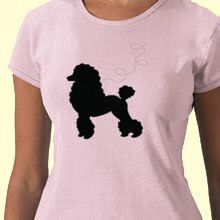 I posted your button on my sidebar...count one more chance for the abbey girl!!! Another chance at winning for me--my favorite is the blue chair. After visiting CSN, it's the Wildon Home Brownsville Queen Bed in Silver for me! Love the blue dot dodu bed! Cool Beans!! I'd be happy with ANY color!! also looks like a great LSU tailgating chair too..HEH!! CSN is so generous with the blogging community. 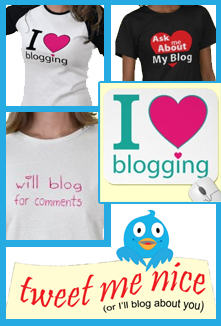 I love being a preferred blogger for them. 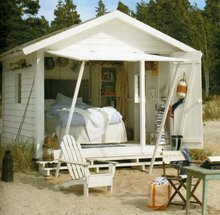 As for the beds...I love the South Shore Summer Breeze Mates Bed Box, I have the perfect place for it! You can't get rid of me...I follow! but Navy would be a great second choice! Have been a devoted follower for about a year now..
we sisters of the Mer.. I loved most of the beds with drawers..but if I could have a choice,, I would choose the Brooklyn Simple Platform Bed with Optional Drawers in Antique Wallnut. I really do like the bed you chose,, The Paula Deen Bed! Thanks for your recent comment. It was good to hear that you enjoyed my other blog. We loved our day in Clearwater. Glad it brought back memories for you. 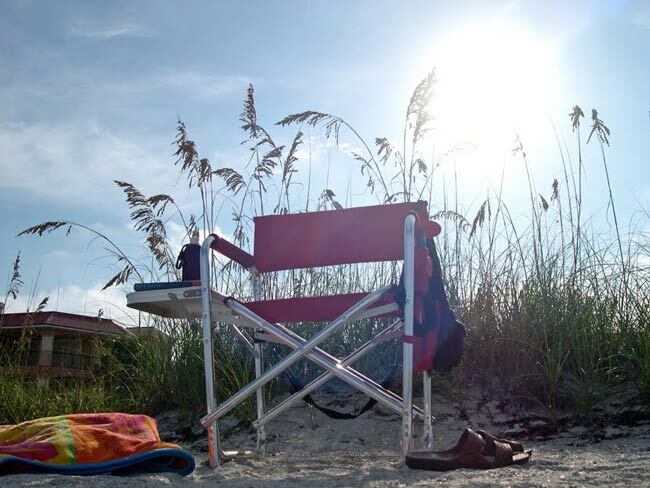 I love this beach chair and enjoyed reading your review. I hope you are well and enjoying the beginning of summer! I love this beach chair what an amazing giveaway! I hope I win....fingers crossed, then I will bring it to olivers baseball games. Love these chairs, so practical and easy to take with it looks like. 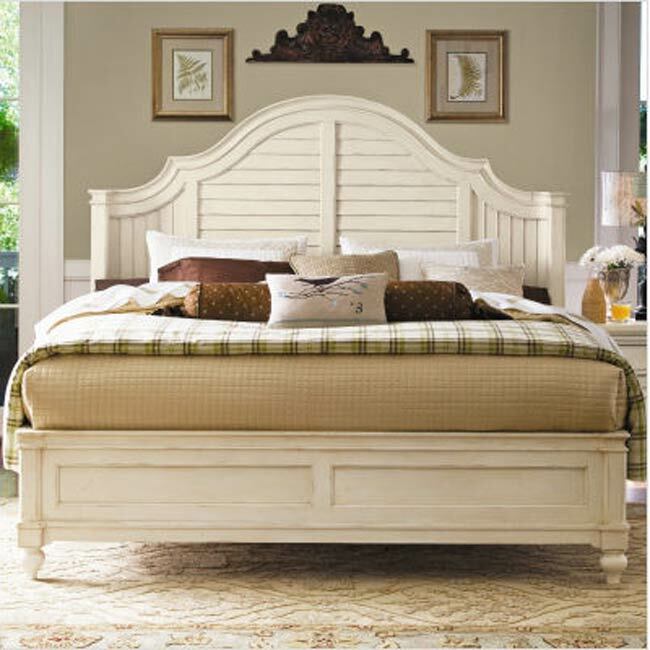 I like the Lea Seaside Dreams Sleigh Bed in Antique white, you can get the underbed drawers with it. I would choose purple..why not! I love the Murray bed for my College daughter. Without headboard, footboard this would give her the extra space to have a queen size bed in her little apartment. Well, if I can't choose Paula Deene then I'd have to say the Padmas! 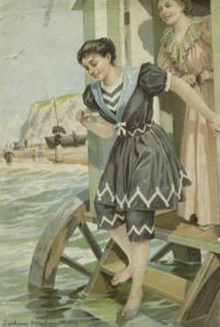 Or the Lea Seaside! And the chair -- I think I'll take the purple one please. Something different so I can stand out! And I follow you ...... all around the beach! I like the Windsor double arch bed and I could use two as we are doing over the house here at the beach. Now the chair looks nice and sturdy. I always worry about how they sit upon the sand being higher then the lower sand chairs. We go to the beach so often and this looks great with all those pockets for keys and phones and SPF lotion and swim goggles etc. I like the Rhapsody. Anything with the word Rhapsody is good with me! Been a fan and follower of the hut for more than a year! Good stuff! 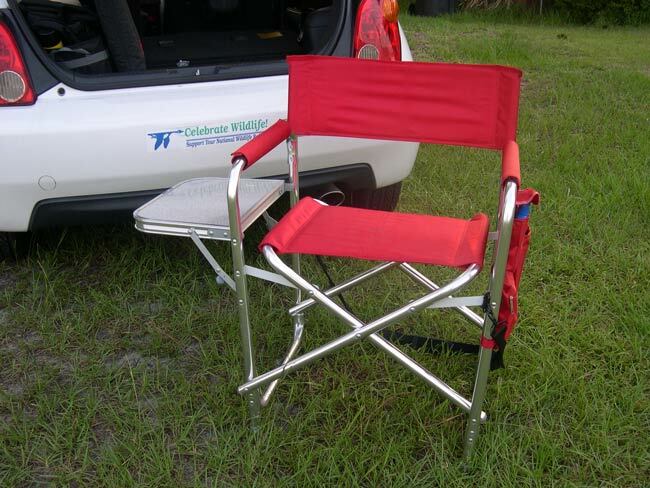 Would love to have this chair as it will hold my sunscreen and wine coolers. Plus a side table for my reading material. A purple one would match my beach umbrella! LOVE the Lea Rhapsody Platform bed. Looks amazing for lounging!! 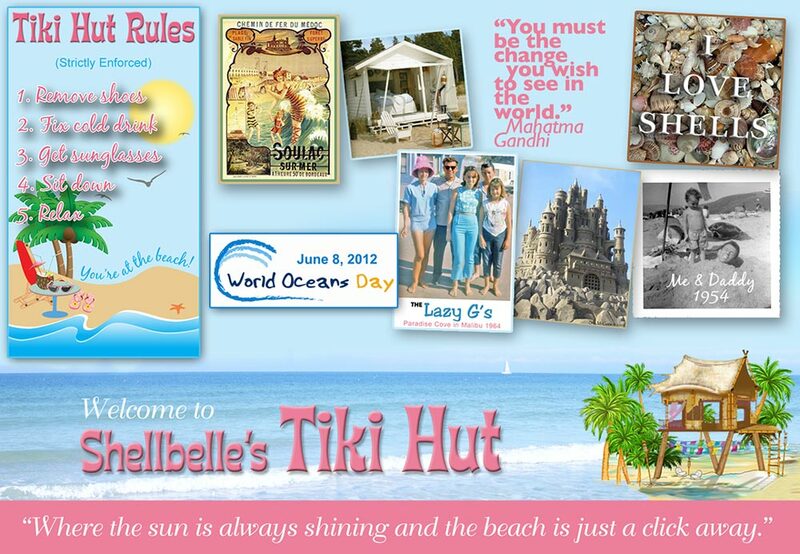 New follower to your blog shellbelle! So how goes the plumies? I have two of the cutest little 3 inch plumies growing right now, here in central florida. hope yours are growing well! I would love the red chair, like yours. So cheery, bright and it looks really sturdy! Thanks for the giveaway, fun!! What a gorgeous bed!!!! 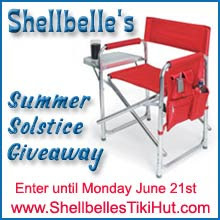 And the chair you selected for the giveaway is just what I need :-) Please enter me in the giveaway and stop by my blog and enter my CSN giveaway too! I'm a fan of the CSN Hillsdale bed! Thanks again. I stopped by via Ms Bake-it. PS I'm follower # 178! I like the Atlantic Furniture Windsor bed! Love it!